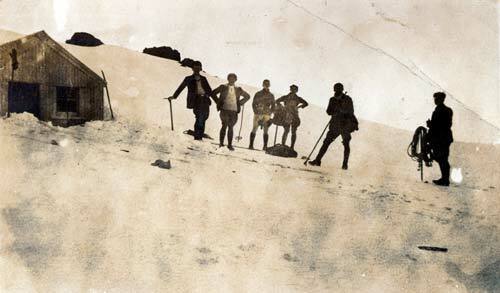 Glacier Hut, at 1,740 metres on the Whakapapa ski field, was the first purpose-built ski club hut. It was built by members of the Ruapehu Ski Club in 1923, and like many early huts, was very basic. Clad with corrugated iron, it had six bunks and a stove. In 1989 the club restored it and turned it into a skiing museum.